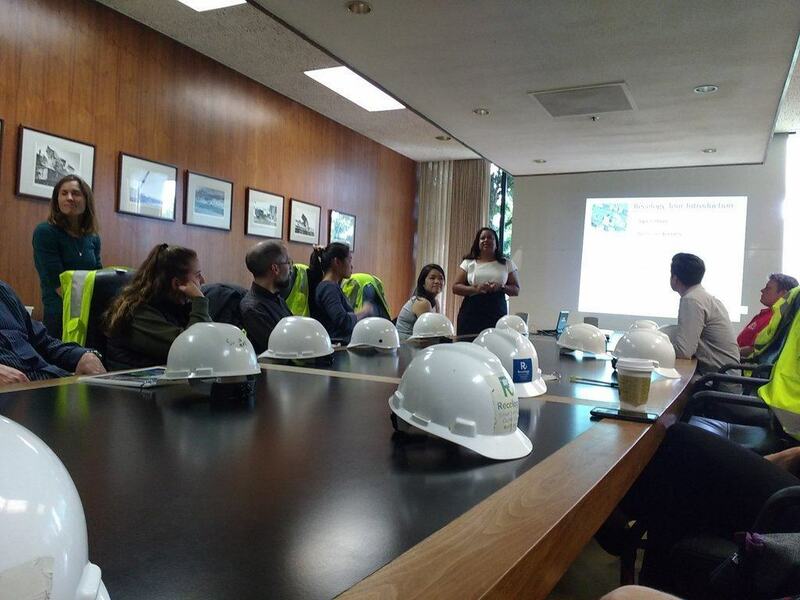 Last week I joined the Recology monthly tour, the city’s recycle and waste collection company. 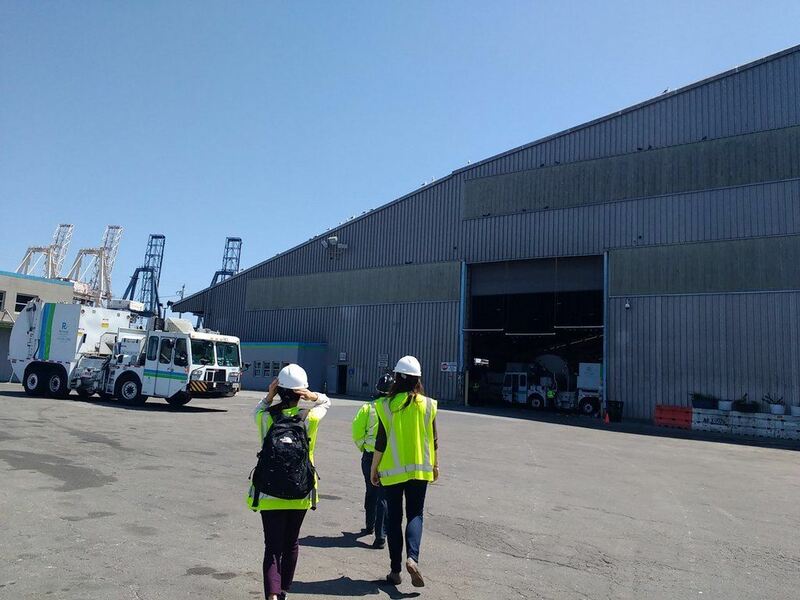 Although I thought I know a lot about how to reduce waste in San Francisco, this tour was quite the eye opener and I learned so much more important information. Turns out the SF is doing a good job leading the country with a top diversion rate of 80%. That means that 80% of all the trash that can be salvaged by recycling, composting, collected and correctly handling is actually done. It’s not bad but we still have a long way to go till we reach the 100% zero waste goal hopefully by 2020. With our growing population, our “disposable society” has reached that point when waste is piling and we have to do our best to reduce it. The good news is that with just little effort we can. Even before getting to the recycle bit, first step of reducing waste happens when you choose what to buy: Try to buy in bulk, avoid these products that comes in multiple packaging, Styrofoam materials or individually packaged. It might be a little bit more convenient but a hell of a lot more wasteful and often, more expensive. Second step would be to try and reuse and re-purpose before throwing things away: wash and re-use glass and plastic container after finished, keep and reuse plastic bags from the market, get some fabric reusable bags to go grocery shopping, have a reusable water bottle and so on. Also encourage buying second hand goods when possible. For many household items, clothing and electronics it can be both a way to reuse other people’s stuff while getting a great bargain. 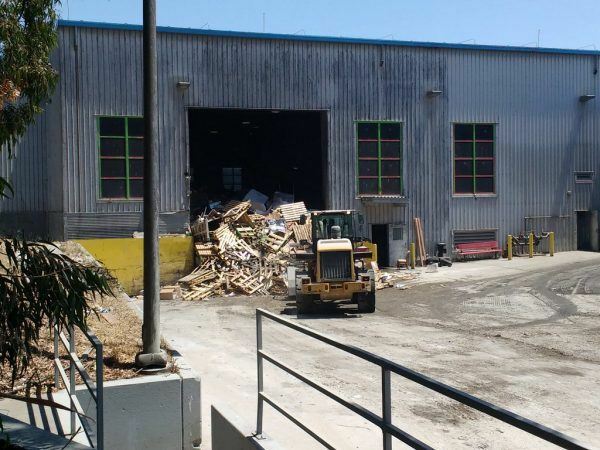 It’s pretty amazing to see all that waste coming in just from the blue bin in one day collected around the city, how it then gets sorted out in a huge loud warehouse and packed to send off as raw material. 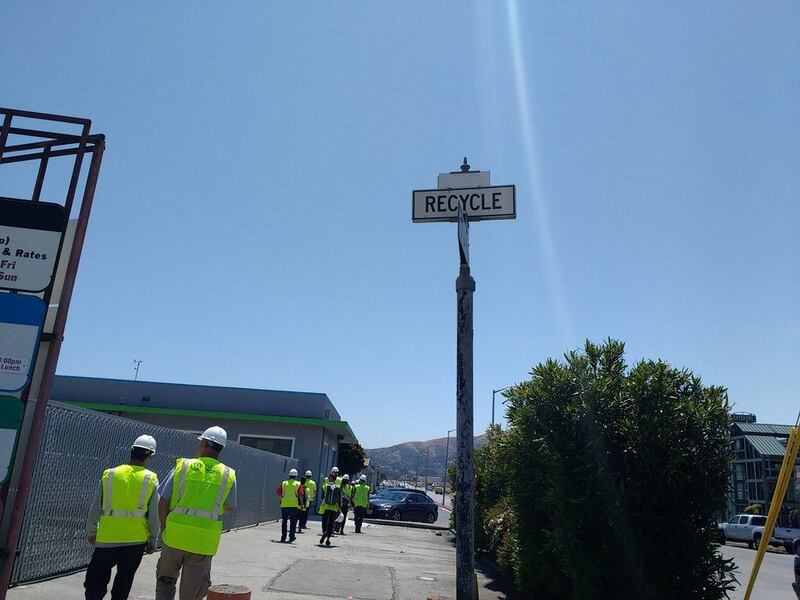 What makes SF better than others in recycling is that all the recyclables goes into one bin and separated in this recycle center, making it easier for people to recycle. 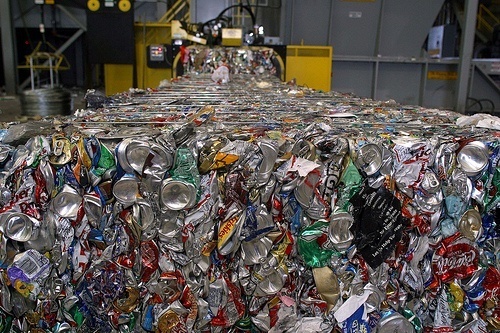 Bales of aluminum cans are extruded from an automated baler at the Recycle Central recycling facility at Pier 96 in San Francisco. The outcome are piles of clean materials which are condensed together into cubes called “Bales”. These gets shipped to processing plants around the world to use as materials for all kinds of industries. 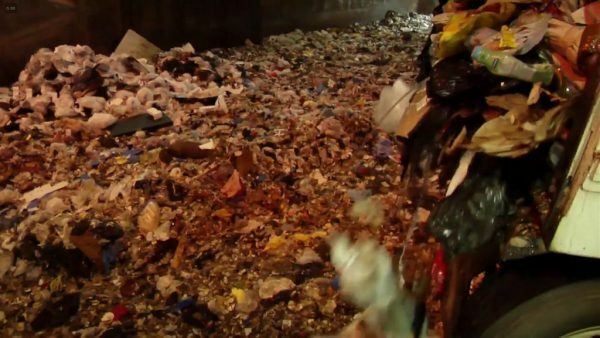 Most of the paper and plastics are sent all the way to Asia on the same cargo ships that brought shipments to the city and used to come back empty to Asia. This is a huge site in the south of the city where all the waste is going (except for the recycles) right before sorted and shipped to their final destination. There’s a big pit for the land fill garbage, the construction waste sorting area, the organic compost dumping site before going in the shredder, collection center for public disposal and recycle for residents and an educational center that even holds art exhibitions made by artists using waste. There’s an estimated 50% of waste that could have been salvaged if it was to go in the recycle or compost bins instead of the land fill. Unfortunately there’s no coming back from the land fill. There’s just no way to sort through all this at all, so next time you put something in the black bin, be certain it can’t go elsewhere. 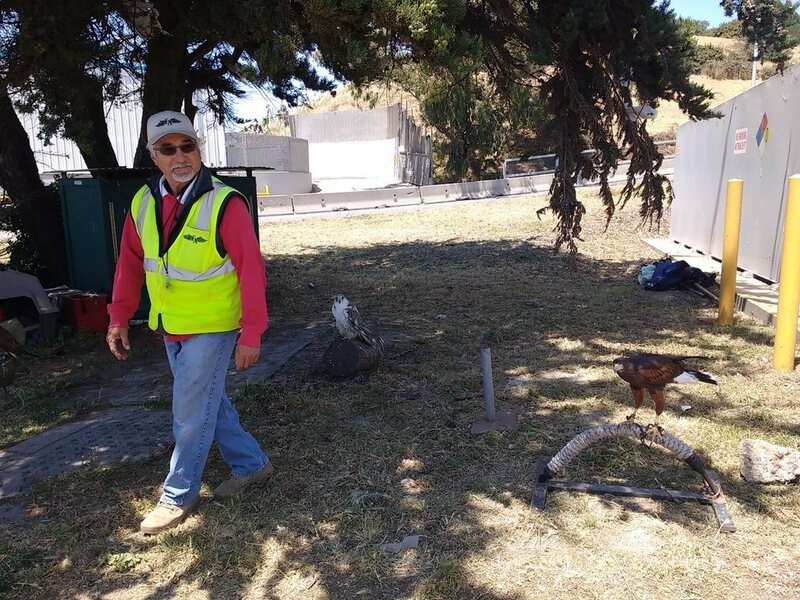 Recology hires a falconer who’s responsible for scaring off all the birds, especially the seagulls who are attracted to garbage but pose an actual risk when eating harmful pieces of waste. This is safest way to scare them off without a harm. The falcons are kept hungry enough to come back home but not enough to go and kill a bird. 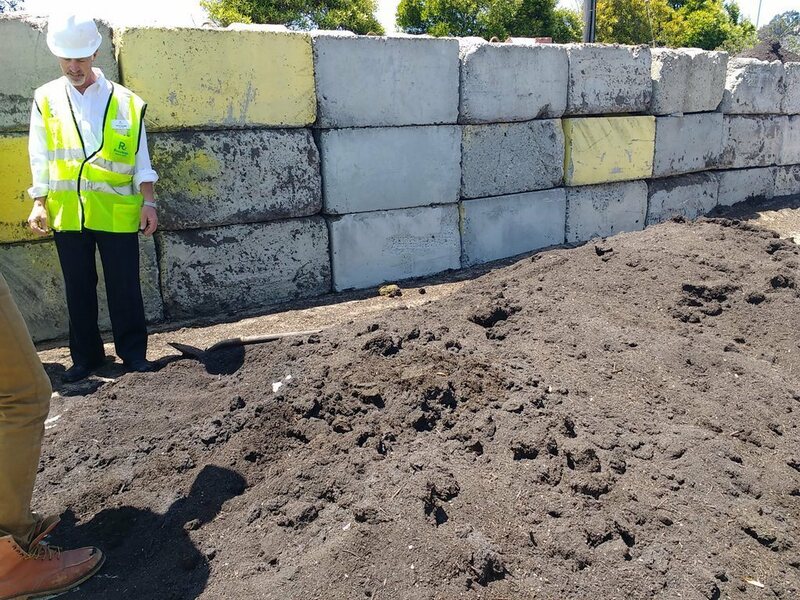 All the collected compost waste is made into fertilizers for local farmers with commercialized heating process that takes up to 90 days. This is the reason we can compost all that waxed paper containers and such. 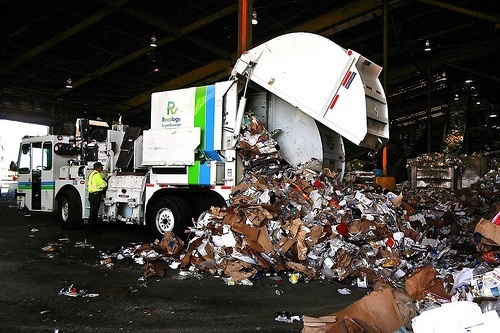 Over 1.2M lbs of compostable waste is collected each day (!) just in SF but a lot more can be handled and there’s the demand for it! You can spread the word around and help people lower their waste. 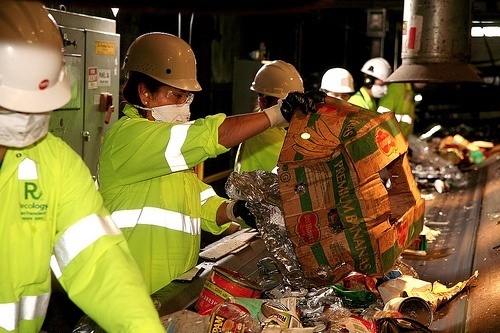 You can invite recology to your workplace to better educate your staff or you can go to one of these tours and see this whole process for yourself. More information in the recology website.